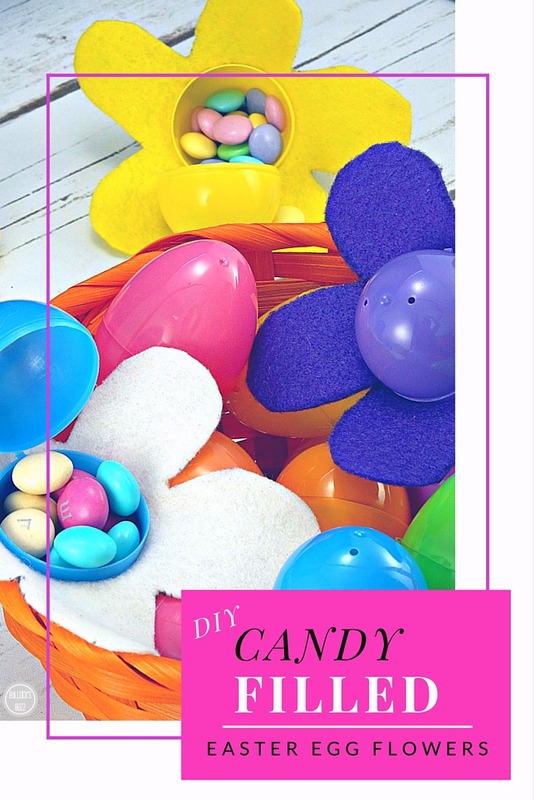 DIY Easter Basket for the Gardener + DIY Candy-Filled Easter Egg Flowers and a Free Printable! Easter may still be a few weeks away, but it’s never too early to get started making Easter baskets! 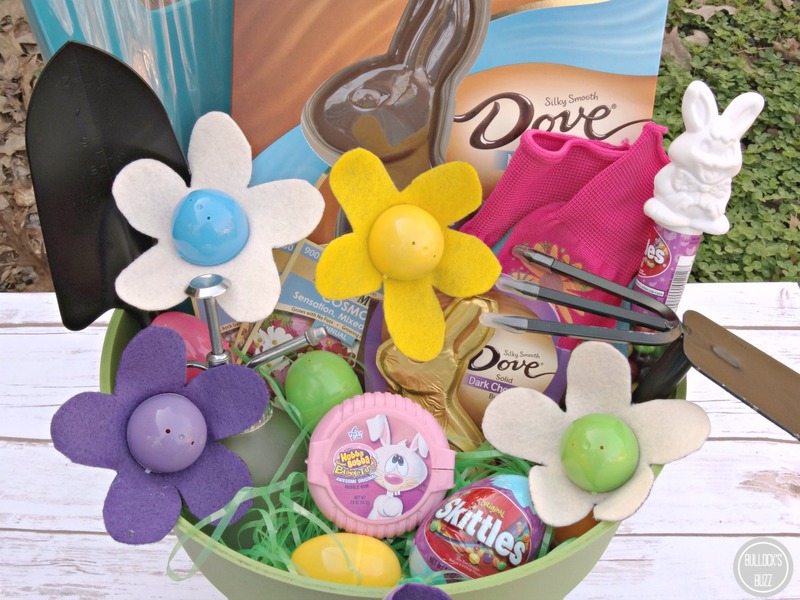 Themed Easter baskets are all the rage these days, and if you know someone who loves to garden, then this DIY Easter Basket for the Gardener, complete with DIY candy-filled Easter Egg Flowers would be the perfect Easter basket for them! 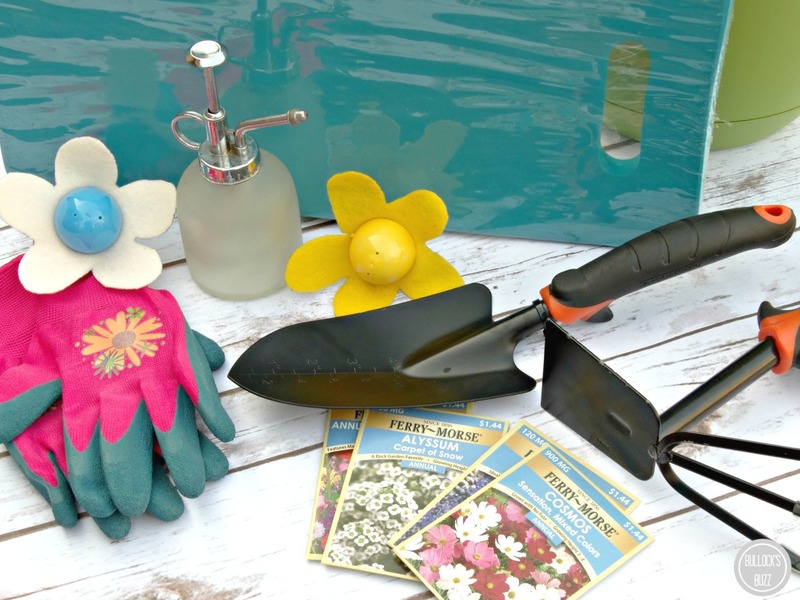 There are countless possibilities when it comes to making a gardening themed Easter basket! I included several packs of flower seeds, a couple of gardening tools, a water mister, a pair of gardening gloves, and a kneeling pad. I also found a large-sized flower-pot to use as the basket, and some green Easter grass to finish it off. 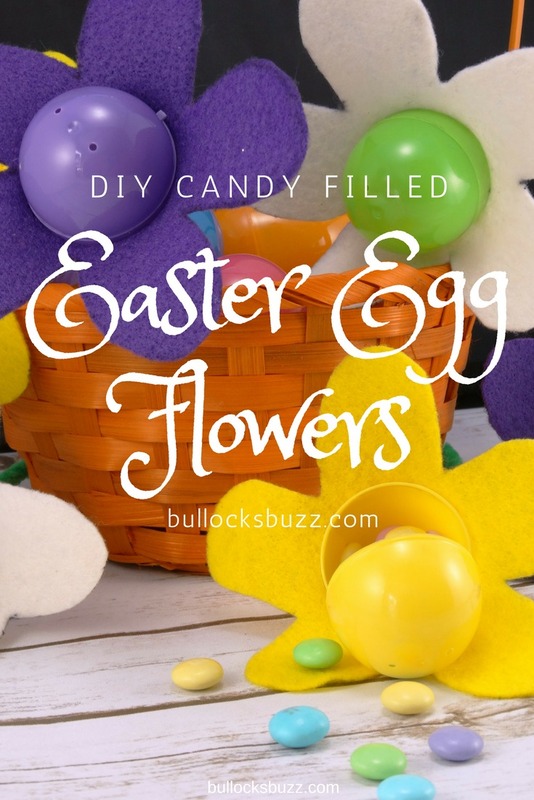 Of course an Easter basket is never complete until you add candy, and what better way to add candy to a gardening-themed Easter basket than candy-filled Easter Egg Flowers! 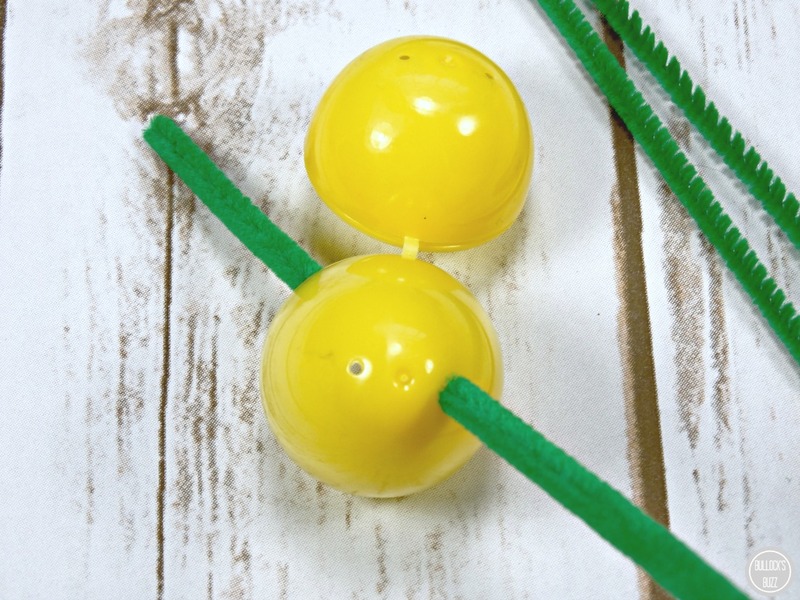 These DIY candy-filled Easter Egg Flowers are simple to make and they look so cute! 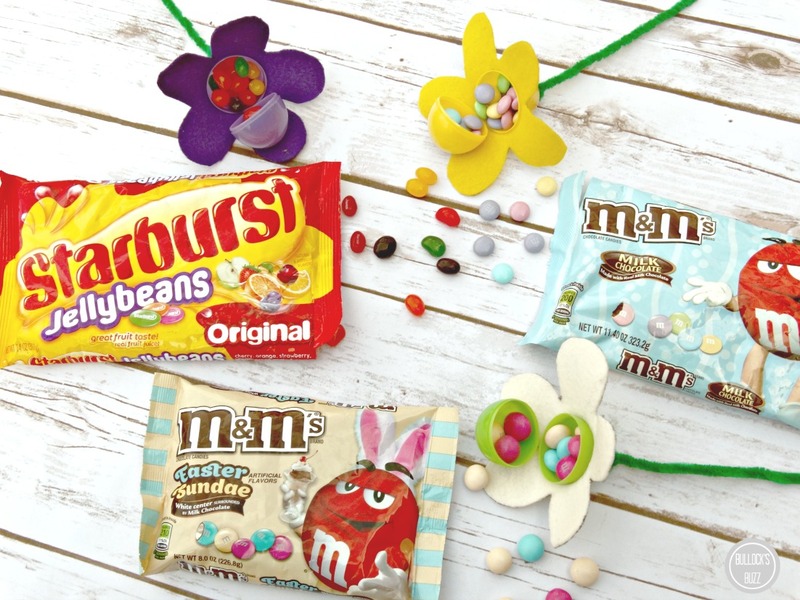 They’re the perfect addition to this fun-filled Easter basket. 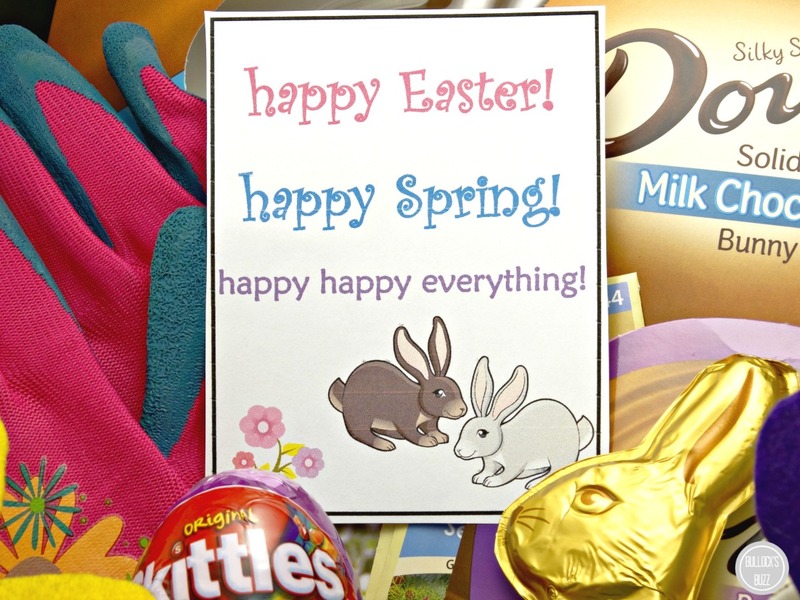 I found everything I needed at Walmart while I was gathering the gardening supplies for the Easter basket, including a bag of STARBURST® Original Jellybeans, M&M’S® Milk Chocolate, and a bag of M&M’S® Easter Sundae. Yes, you read that right! 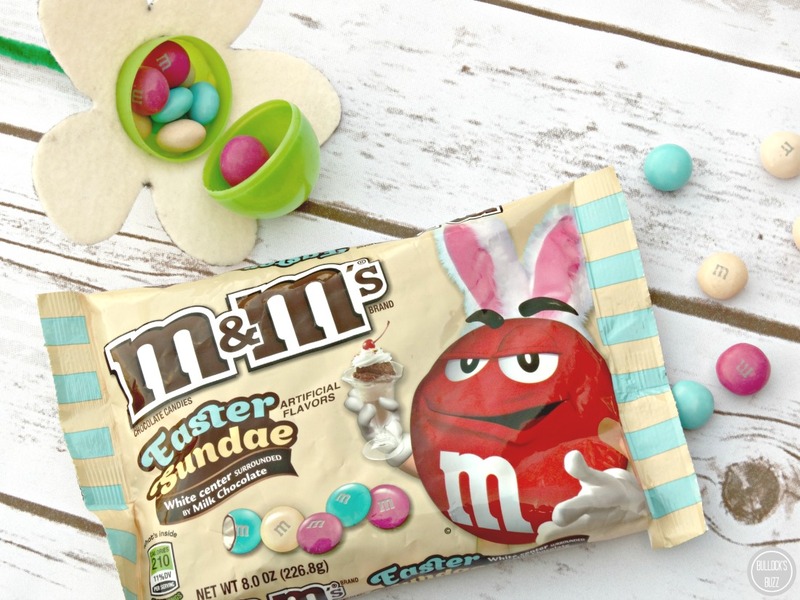 M&M’S® has another yummy flavor, M&M’S® Easter Sundae, and they are only available for a limited time exclusively at Walmart! 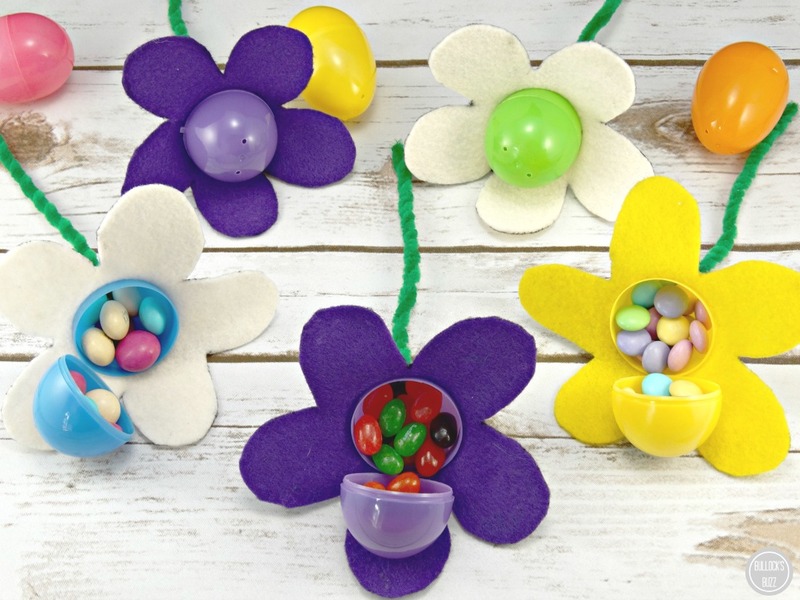 The jellybeans and M&M’S® candies, along with some M&M’S® Milk Chocolate candies in pretty pastel colors are the perfect fillers for these candy-filled Easter Egg Flowers. 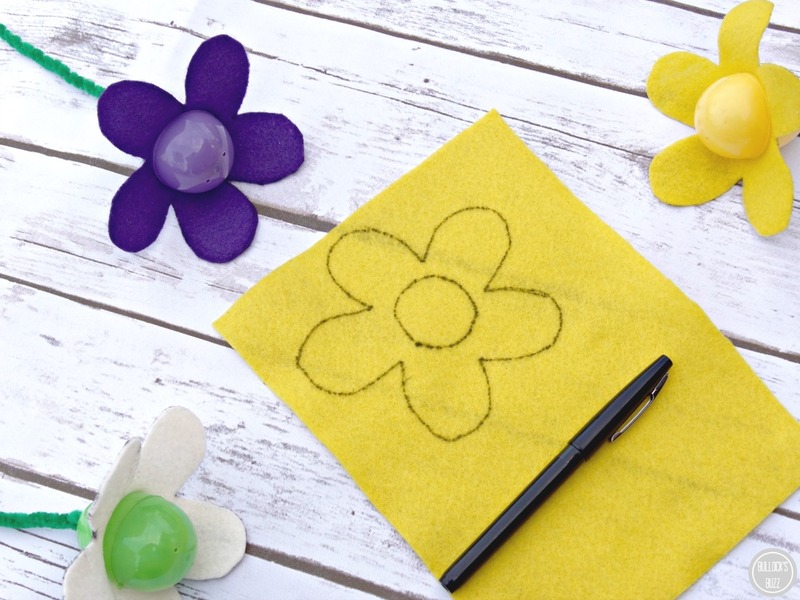 Begin by drawing your flowers on the felt. I actually made a 5″ stencil from an old manilla folder, then traced it on to the felt. For the circle in the middle of the petals, I simply traced one side of an open egg. I was able to get 2 flowers on each piece of felt. Once you have your flower completely drawn, cut it out including the inside circle. Next, create the “stem” of the flower using one of the green pipe cleaners. Most plastic eggs have 2 holes in the bottom half. Thread a pipe cleaner up through one of those holes and then back down through the other. Both ends of the pipe cleaner should now be sticking out through the holes. Make sure the ends are even, and then pull them through the egg until you can’t pull any more. 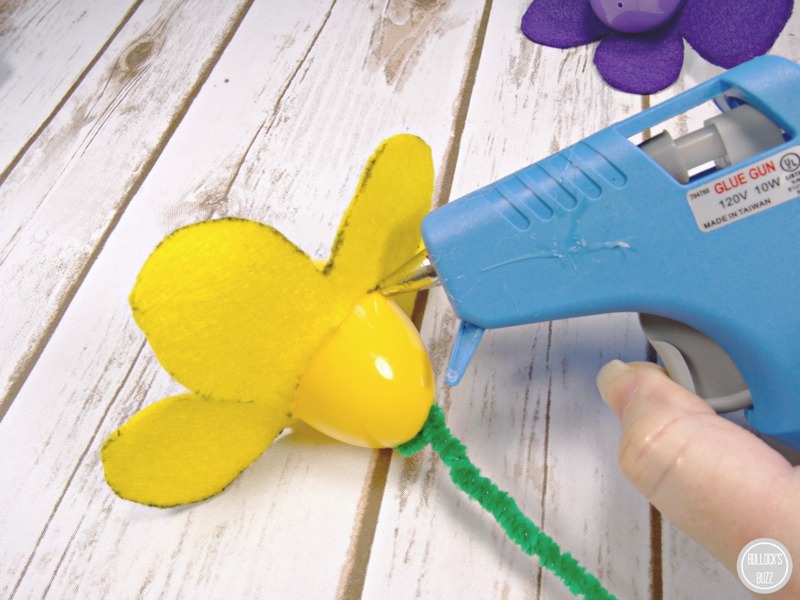 Now close the egg, and twist the two ends of the pipe cleaner together to make a nice, sturdy flower stem. 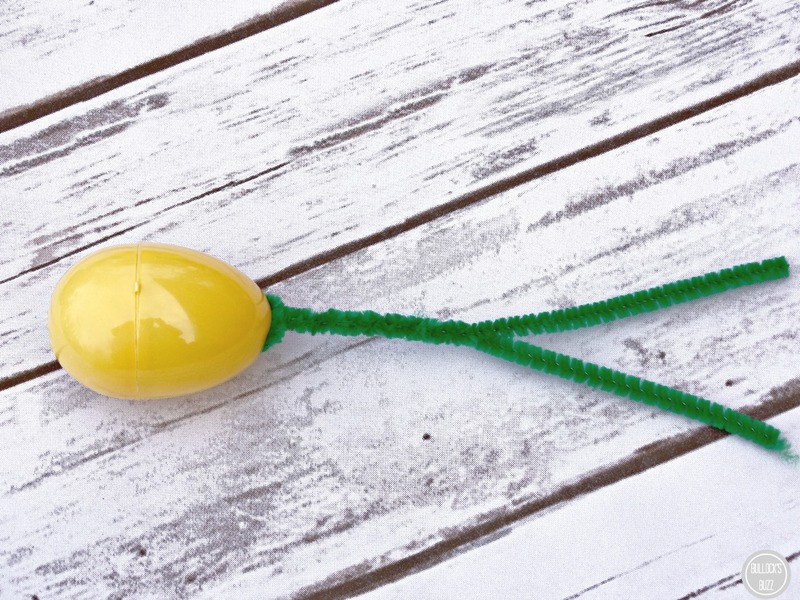 Closing the egg makes it quicker and easier to twist the pipe cleaner. 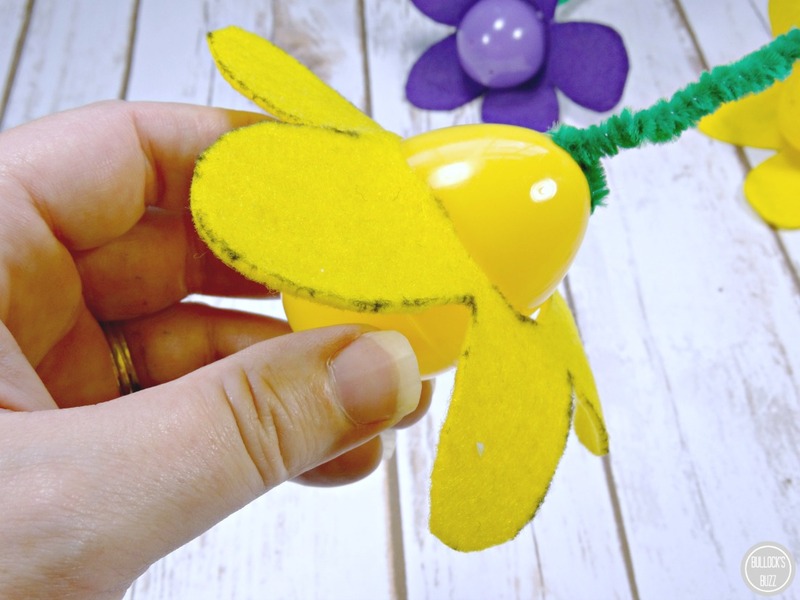 Next, you will need to glue the felt onto the egg in order to complete the flower. Simply insert the egg bottom first through the hole in the middle of the felt flower. Make sure any marker left over from drawing your flowers is on the bottom side so it doesn’t show. Slide the felt as close as possible to the seam where the egg closes without it actually resting on the seam. Place several beads of hot glue around the underside of the felt “petals” to ensure it stays in place. 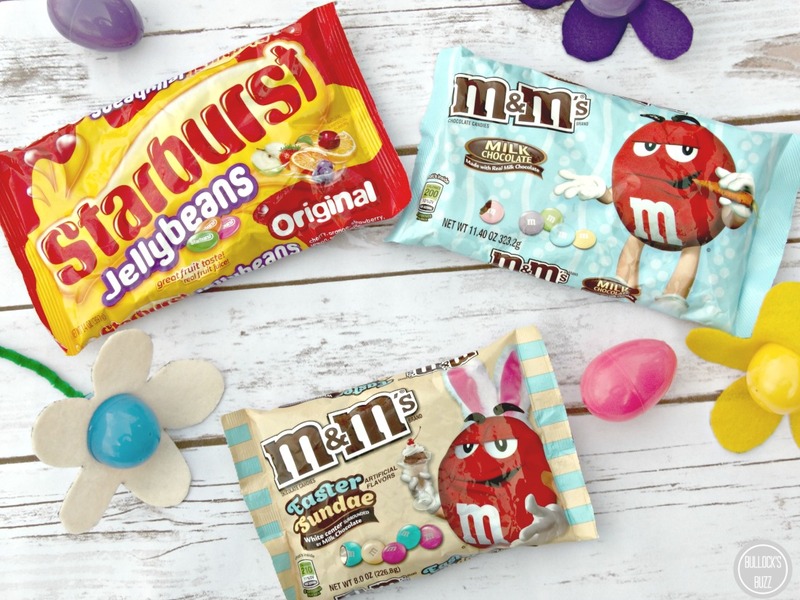 Allow to dry completely before filling the egg flowers with the M&M’S® Easter Sundae candies, M&M’S® Milk Chocolate candies, and STARBURST® Original Jellybeans. And that’s it. Don’t they look great?! 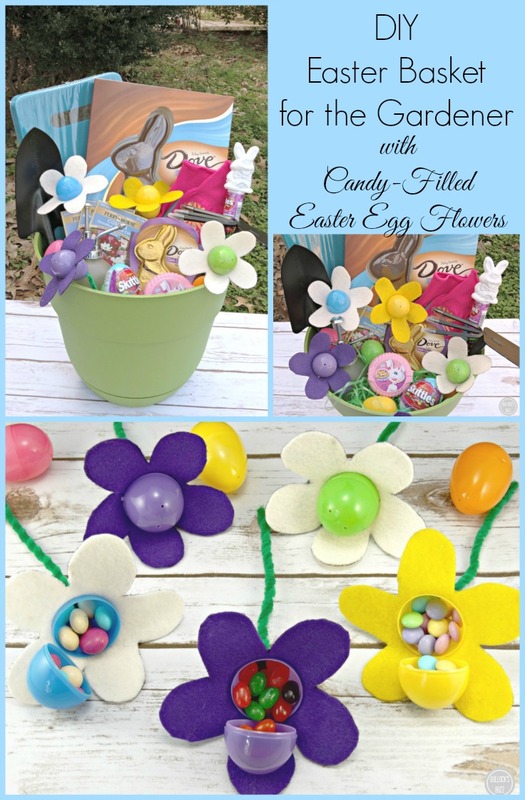 Now you can place your candy-filled Easter Egg Flowers in your garden-themed Easter basket! And don’t forget to add a few more candy fillers. 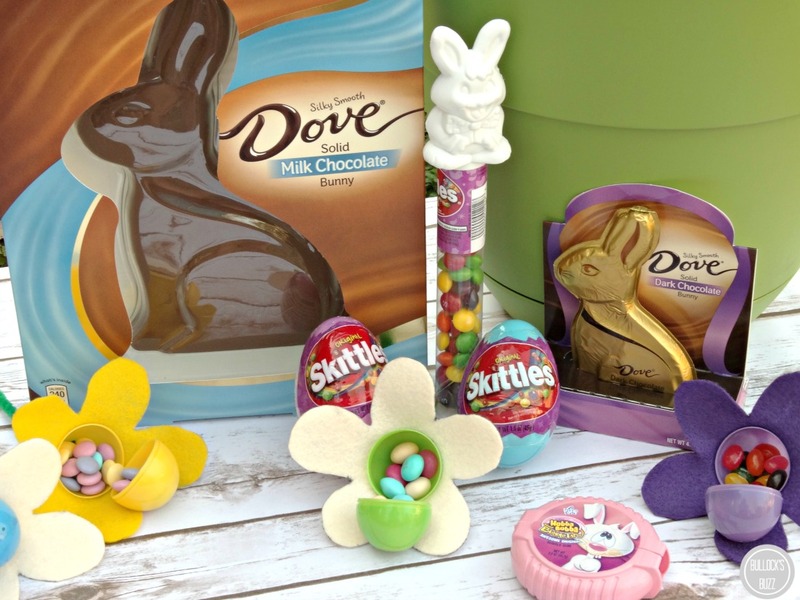 I choose to add a delectable 12 oz DOVE® Milk Chocolate Easter Bunny, a couple of SKITTLES® $1 eggs, a SKITTLES® $1 tube, a HUBBA BUBBA® Bubble Tape, and a 4.5 oz DOVE® Solid Milk Chocolate Bunny – all of which were found on the seasonal aisle at Walmart. And for those chocolate-loving gardeners, a bag of the Easter Mixed Brand Chocolates (package includes SNICKERS®, DOVE®, M&M’S®, TWIX®, MILKY WAY®, 3 MUSKETEERS®) would also make a tasty addition. And now, the finishing touch for this gardening-themed Easter basket…a free printable Easter Card (click the link or the picture below to download and print)! 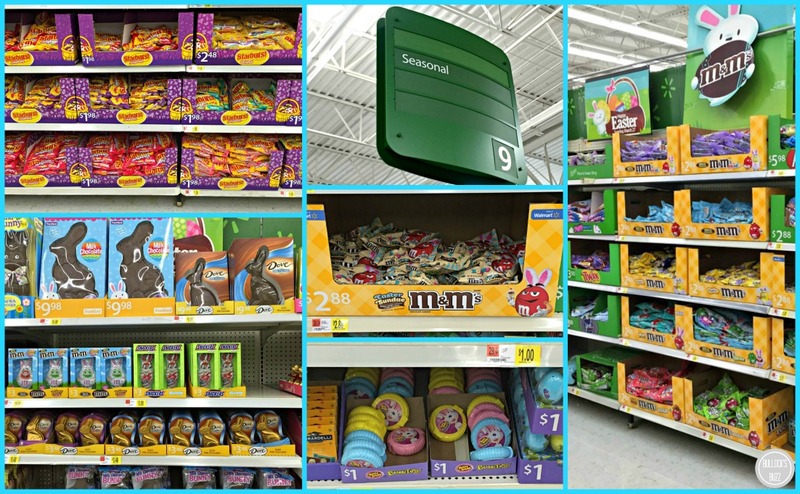 Be sure to head to Walmart to get everything you need for this adorable Easter basket. You can find all of the candy on the seasonal aisle, and all of the gardening items in the Garden Center. Looking for more creative Easter ideas? Find more inspiration at Walmart’s Mars Easter Site! 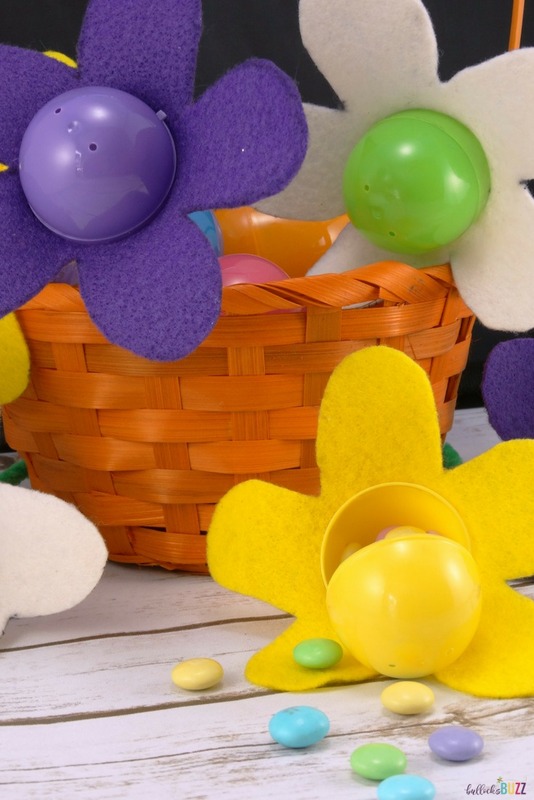 Do you have an idea for a themed DIY Easter basket? I’d love to know! Share with us in the comments below. 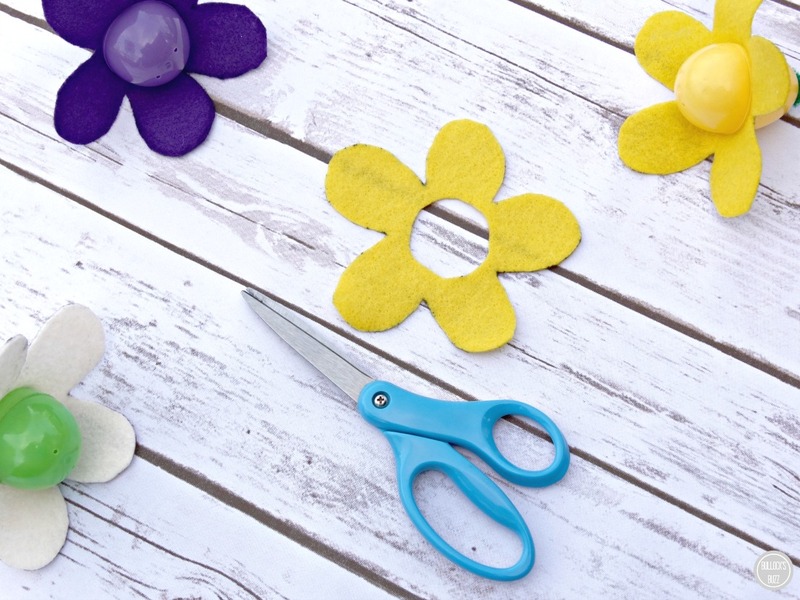 Looking for more Spring-inspired DIY crafts? Check out these easy-to-make Hanging Flower Vases! Thank you! They were so fun (and easy) to make! Thank you! it is very easy to make, too! Those Easter Egg flowers are just TOO cute! What a clever idea. Thank you! They are so fun to make, and perfect for kids and adults! Great ideas! Thanks for sharing your masterpiece and also for the tutorial on making the egg flowers. Have a blessed Easter! Thank you Faye! I’d love to see pics if you decide to make them! Have a blessed Easter as well! These are lovely! What a great idea!